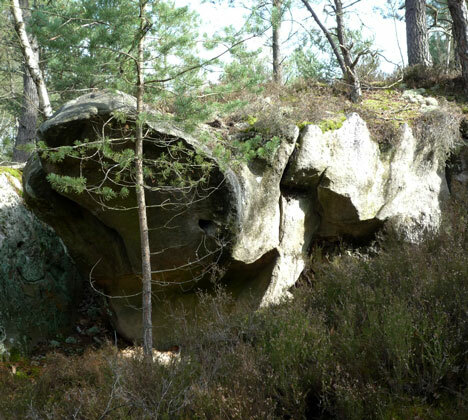 Shortened version (without the traverse) of L'Auvent Tripotant, on the boulder to the right of Narine à Voile, near blue n°35. Crouching start under the overhang with the hole and a sidepull and exit by the overhanging prow. Pour info, en date du 01/05/2012, il y a un nid d'oiseau en construction dans le trou de départ main droite. Cette proue va donner naissance !